The Fastest fingerprint service in Los Angeles! 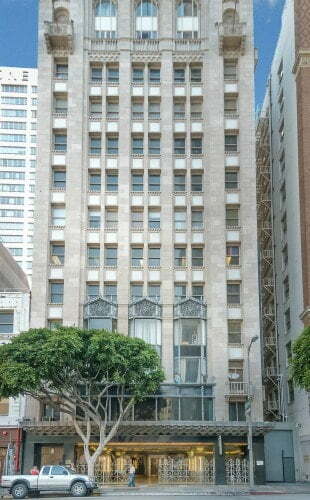 Live Scan, Conveniently Located in Downtown L.A.
We are inside the Historic Oviatt Building, on Olive St. near the corner of West 6th Street, by Pershing Square. Freeway 100 exit east 6th street head straight about a little over half a mile to Olive St.
Freeway 101 Exit S Grand Ave. Head straight about a mile and a half. Make left on 7th st. Make left on Olive St.
MR Fingerprints is a Department of Justice (DOJ) and FBI approved provider. We use state-of-the-art equipment to capture and process Live Scan Fingerprints in a timely, affordable, and convenient manner. Our staff is committed to offering an excellent experience for all our customers. All with over 10 Years of Experience. Provide the fastest, friendliest experience for our customers. You’ll walk out of our office confident and pleased with your live scan fingerprinting needs. Our experts will make this live scan experience as easy as possible. Ask about our volume discounts and commercial account services. I was looking for a place to do my fingerprints and I stumbled upon Mauricio’s (he’s the owner) services. He was very professional and very accessible with my busy schedule. Everything was done quickly and properly. If you ever need Live Scans, I highly recommend MR Fingerprints. I was looking for a fingerprint service because I had just moved back from Nevada. I Google them and they came up. Mauricio was so kind and exceptional to come in on 4th of July and do the job for me at a reasonable price and great customer service I was greatly appreciative. I would definitely recommend them to anyone keep up the good job you guy’s rock! As an attorney in Downtown Los Angeles, I send all of my clients to Mauricio up in MR Fingerprints. His work is extremely reliable, and I have yet to have a single complaint from any one. Highly recommend, great customer service. I needed my live scan fingerprints, I called MR fingerprints and Mauricio helped me. The process was quick and easy I was done in 10 mins. He was very nice and he knows what he is doing. He is also the cheapest around the area. I came in to get some fingerprints done for a recent job offer. EXCEPTIONAL SERVICE. honestly, I’ve been to other notary/fingerprint offices before and it seems like everyone there hates their lives. I walked in and it was such a nice office, kindest people ever, and they are SO efficient with their time. I saw they offer other services as well, such as notary. So I will definitely be back here. What a change from the typical notary/livescan places. If I could I’d give them 10 stars. keep it up! Live Scan Fingerprinting. It’s fast! It’s easy! Book your appointment, tell us what you need, and we’ll confirm your date and time.